Taking place this weekend at CycloPark, Kent – come cheer on our very own Jake Roe (#CYCLEOPSTN9) as he takes on defending champion Grant Ferguson and faces tough competition from Ian Field (Neon-Velo Cycling Team), who wrapped up the HSBC UK National Trophy Series last weekend, and Tom Pidcock (TP Racing), who has recorded a number of impressive results on the continent this season. 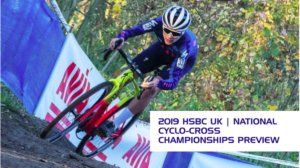 If you cant make CycloPark this weekend, you can WATCH LIVE HERE from 10.15am on Sunday 13th January. When cars started to run with lights during the day they reduced accidents by 25%. And motorcycles also saw a 13% drop too. So to have Bicycle Daytime Running Lights just make sense and all existing research indicates that the single best way for a cyclist to increase the likelihood of being seen by a driver is to use a flashing light that is daylight visible. So what exactly makes a light visible in the day, Bontrager’s Daytime Running Lights have unique properties that allow them to be seen during the day. Creating a light visible in the daylight requires intentional design. By directing or amplifying output Bontrager can intensify the beam or extend its range. Without this, a light may appear bright, but will not be noticed in the day.Using a flashing rear light in the day makes you 2.4x more noticeable than with no lights at all, and 1.4x than in steady mode. The Bontrager Daytime Running Lights use an interruptive flash pattern to increase the notice ability, specifically in daylight conditions.8 out of 10 cycling accidents occur during the day. Daytime Running Lights are the single most effective product to help increase your notice ability during the day. Daytime Running Lights are brighter than what you would use at night in order to give drivers more reaction time. The Bontrager Daytime Running Lights are detectable from a greater distance than other lights, from ¼ mile to over 2km away in daylight conditions given the specific model. Here at Cycle-ops Tonbridge We have the full Bontrager Daytime Running Light range in stock and also available to demo.